Have an old kit you're never going to build? Looking for that prized, missing kit from your collection? Then this is the place to look! Here members can list what they are looking for and/or what they are seeking to sell or exchange. You can list the amount you desire for an old kit, what you are willing to pay for one or just exchange between members. Please feel free to submit photos if you'd like. Good luck to all! FOUND!!! 1/72 Italian Reggiane Re-2007 by RS Models (Kit #72123). Contact member 000024. FOUND!!! A new IRMA Member is seeking this kit. 1/72 French Sud-Est SE-2415-02 Grognard II by Dujin Resins and Czech Master Kits/CMK (Kit #288), Replica, VAMI Models or Aviation Usk Contact IRMA if you know of one. FOUND!!! RS Models 1/72 Nakajima Ki-201 火龍 "Fire Dragon" (Kit #7281). Please contact member 000001. FOUND!!! RS Models 1/72 Northrop XP-79 Flying Ram (Kit #7255) Please refer to member 000013. Re-release in 2012 (Kit #92111 from RS Models). FOUND!!! 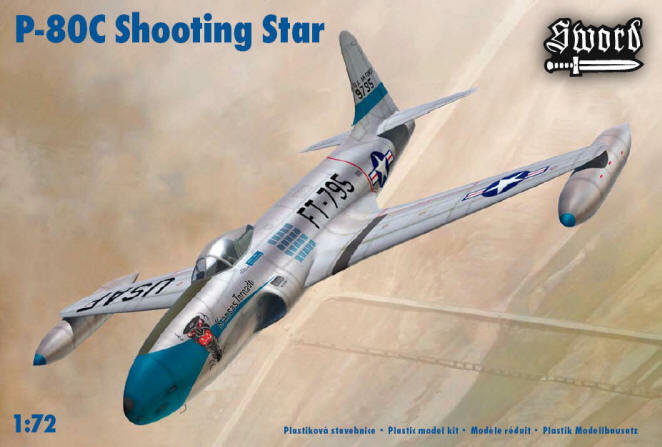 SWORD 1/72 Lockheed P-80C Shooting Star (Kit #SW 72025) Please contact member 000002. This member is willing to sponsor a 1-year free membership in IRMA for the finder of this kit. FOUND!!! 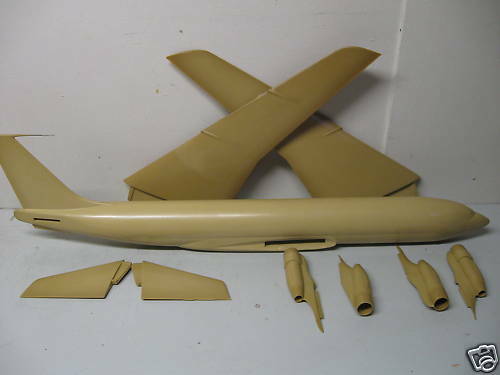 Boeing 707 "Dash 80" B-367-80 1/72 resin kit as recently listed on eBay. May have been produced by AirTec (as E-3A in rigid foam), Executive (as resin 707), Skyland Models (707 in fiberglass) or T.W.R. (solid plastic/expoxy 707) - 9 piece, solid body kit. Will pay a generous price! Desire is to use as a master to mould a Boeing Dash 80 prototype kit with metal landing gear and decals. Possibly another IRMA series kit. Please contact member 000002 or member 000001 to relay to member 000002. FOUND!!! We wish to extend a "Thank You!" to Monsieurs André J.L. Roy and Marc Santini of France in locating a Dujin F+W N-20.1 Glider Arbalète (DUJ72037). We welcome them to IRMA with a 1-year free membership. FOUND!!! 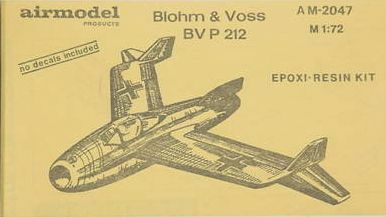 Resin 1/72 Airmodel Products AM-2047 Blohm und Voss BV P.212. IRMAs Trades & Exchanges page works! 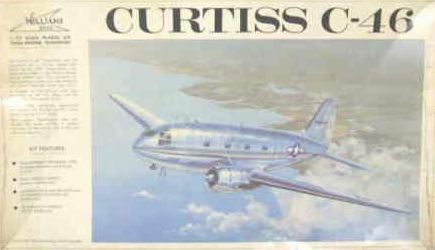 Vintage Williams Bros. 1/72 Curtiss C-46 (Kit #72-346). Box is a bit beat up with kit intact and new decals. Includes option of real rubber tires. Please contact member 000001 if interested. Price or trade is negotiable. Below is an A+V Models Yak 25 in 1/72. This was the original version from 1947 with swept tail. Although it did not reach production status, this aircraft did help in research and development for later designs. The kit is typical of A+V Models with well scribed panel lines, metal landing gear and details and a vacuformed canopy. Little filling was needed and no sanding or filing as the parts fit so well and snug. 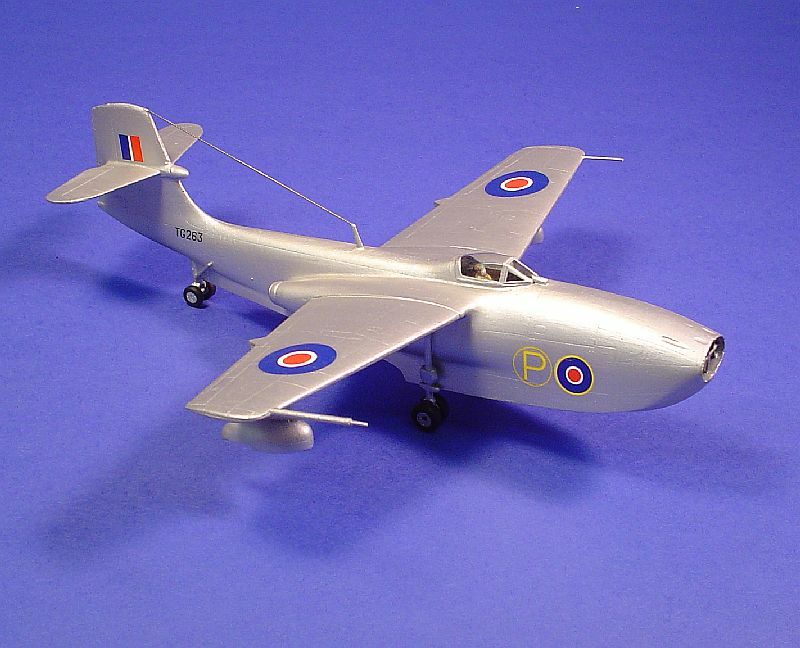 Below is the Saunders-Roe SR.A-1 by Planet Models in 1/72. A very clean, well moulded kit with minimal flash and sanding. Parts fit well together and details are very good. In this case external antenna, wiring and front grill were scratch-built from metal by the builder. This unusual jet aircraft was designed to fight in the Pacific theater in the event of a protracted war with Japan. A float-plane, it would require no landing strip and could be refueled by ship or submarine. This version is in the beaching gear and is now in a museum. Above is the Sud Ouest S.O. 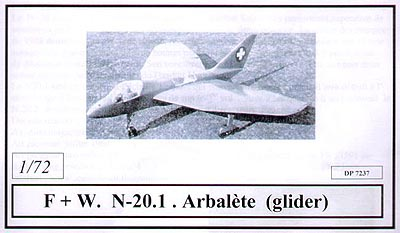 6000 Triton, the first successful turbojet by France in 1/72. Started in 1943 and continuing to be worked on during the German occupation, the Triton took to the air in 1946 as a trainer/transition aircraft for the Armée de l'Air (ALA). This kit was originally put out by Czech Master Resin Kits (CMK), Dujin and later by Mach2. In all formats the parts fit very well, with minimal sanding and filing and no filling required. Any information on Eric Kappner? Fliegerhorst Models, Eric Kappner, Modellbau Kappner, Volksbadstraße 87, 41065 Mönchengladbach, Deutschland (Germany) ANY NEWS FOR ERIC ANYONE??? www.Fliegerhorst.com, www.Modellbau-Kappner.de ANY INFORMATION FOR ERIC?? ?